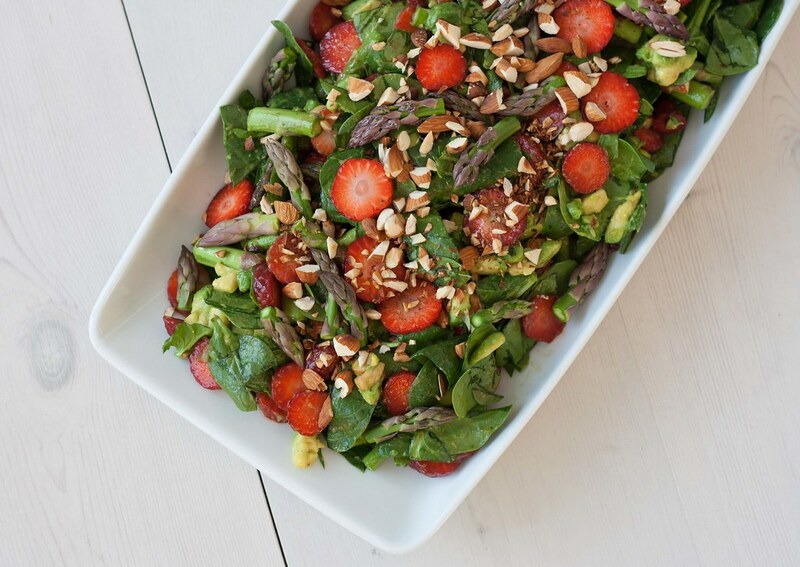 This spinach salad with strawberries and green asparagus is a real summer salad and it’s perfect to be served as a side dish for a barbecue party. 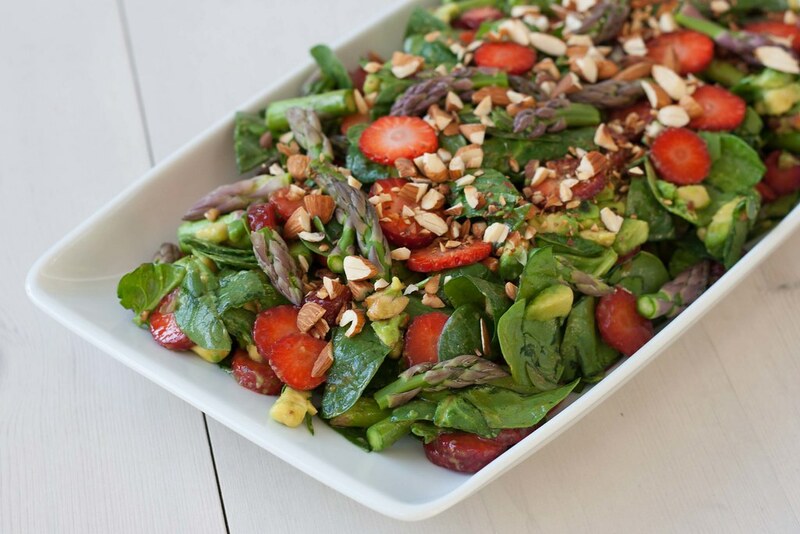 The fresh strawberries are a great element which brings a fresh and sweet taste to the salad but also gives it a nice look. We are having salads for almost all of our dinner meals mostly because a salad can very delicious but also because it’s a great way of getting good oils and vitamins. 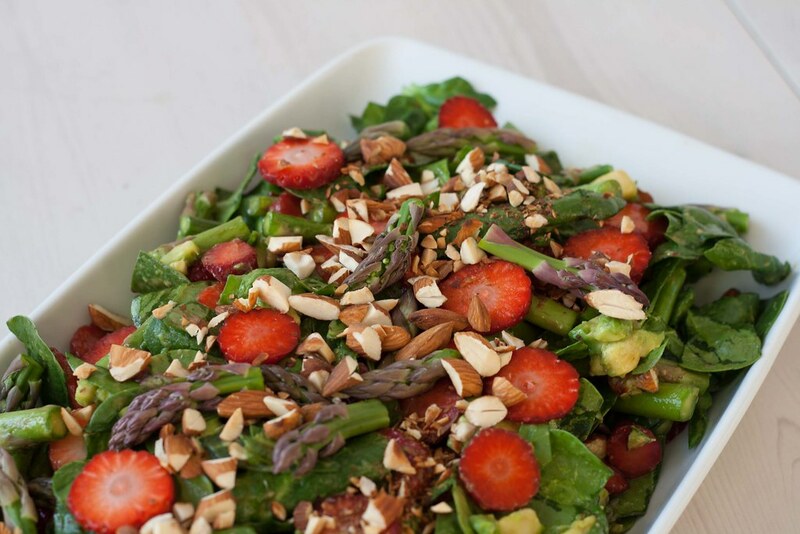 This salad has many great and very healthy ingredients which makes it one of our favorite salads, and at the same time it’s super delicious. If you are interesting in other great salads see our salad archive on our blog. Step 1: Rinse the spinach leaves and put them on a salad plate or in a salad bowl. Step 2: Dice the avocado. We have made a simple guide how to do this the easy way. Step 3: Rinse the strawberries, remove the calyx and cut them in slices. Step 4: Rinse the green asparagus and break off the bottom hard part of them. This is easily done by holding each end of the asparagus and then bend them – it’ll now break at the right place. Step 5: Mix all the prepared vegetables with the spinach. Step 6: In a small bowl, mix all the ingredients for the dressing and pour it over the salad. Step 7: Chop the almonds and sprinkle them over the salad. 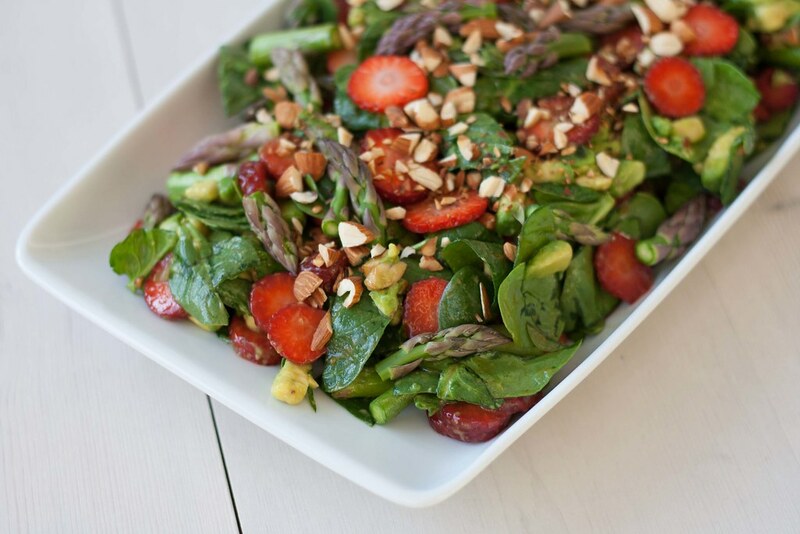 If you have some extra slices of strawberries use them as decoration on the top of the salad.